Ummah Tameer-e-Nau was formed in March 2000 by a retired nuclear scientist. It was registered as a non-governmental Afghan relief agency. The Founder and Chairman of UTN is Dr. Sultan Bashiruddin Mahmood (Image 1). Before forming UTN, Dr. Mahmood was the Director General of the Pakistan Atomic Energy Commission (PAEC). He resigned in 1998 because of his fundamentalist views. According to some sources, one of the reasons for his resignation was the government’s willingness to sign the Comprehensive Test Ban Treaty (CTBT). Mahmood had previously served as ‘Director for Nuclear Power’, and was the chief designer and director of the Khushab-1, a 50MWt Heavy Water and Uranium reactor for the production of plutonium and tritium. Following his resignation from the PAEC, Mahmood began publishing articles and books that involved the relationship between Science and Islam. In 2000, Mahmood began attending lectures by Dr. Israr Ahmed, who significantly influenced elements in his political philosophy. In his own writings and speeches, Mahmood had advocated the sharing of nuclear technology with other Islamic nations. He was arrested by the ISI in Islamabad on the 23rd of October, 2001 along with his associate Chaudhary Abdul Majeed for having links with Al-Qaeda. · Chaudhary Abdul Majeed, who was also a former scientist at the PAEC. · Other Directors: Mohammad Hanif, Mirza Baig and Sheikh Mohammed Tufail. UTN proclaims to be an organization engaged in relief, rehabilitation and reconstruction activities. The UTN has established its network in Pakistan and Afghanistan. UTN collected funds for their operations through donations by its members. The group has been linked with a charity group, Al-Rashid Trust, which may have financed the group. According to the South Asia Terrorism Portal, The group’s founder Bashiruddin Mahmood and Abdul Majeed are reported to have donated about Rs. 1 million from their retirement funds to finance the group initially. UTN recruits are educated, middle class Pakistanis who are engineers, physicists, chemists or were former military/intelligence officials. UTN’s founders and former scientists, Bashiruddin Mahmood and Abdul Majeed have had close ties with Mullah Omar, Osama Bin Laden and the Al-Qaeda. The UTN is also affiliated with the banned outfit; Al-Rashid Trust. UTN’s operations in Afghanistan were supported by the Taliban government. UTN’s founder Sultan Mahmood is said to have been a supporter of the Taliban regime, describing it as the ‘ideal Islamic state’. The Ummah Tameer-e-Nau is an organisation founded by former Pakistan Atomic Energy Commission member Dr. Sultan Bashiruddin Mahmood. It was formed as a relief agency for the Afghans. However, the organisation is suspected of providing information about the construction of biological, chemical and nuclear weapons to the Al-Qaeda. According to the UN Security Council Committee, on 24th December, “Ummah Tameer e-Nau (UTN) was listed pursuant to paragraph 8 (c) of resolution 1333 (2000) as being associated with Al-Qaida, Usama bin Laden or the Taliban for ‘participating in the financing, planning, facilitating, preparing or perpetrating of acts or activities by, in conjunction with, under the name of, on behalf, or in support of’, ‘supplying, selling or transferring arms and related materiel to’ or ‘otherwise supporting acts or activities of’ Usama bin Laden, Al-Qaida and the Taliban”. UTN was formed by a former nuclear scientist in March 2000, as a non-governmental Afghan relief agency. The organization referred to itself as "an organisation engaged in relief, rehabilitation and reconstruction activities". The name of the organization also refers to the global Muslim community that transcends national boundaries. After its formation, UTN carried out relief/reconstruction work in Afghanistan. Some of these projects included rebuilding schools and hospitals, the provision of medical supplies, educational reforms and the arrangement of mobile health units and primary school books. The founder of UTN, Bashiruddin Mahmood, had been previously employed at Pakistan Atomic Energy Commission (PAEC), where he had openly called for the proliferation of nuclear technology to other Muslim countries; in this view, Pakistan’s nuclear capability belonged to the global Muslim community, and thus had to be shared. He was also an opponent of Pakistan’s arms control policy, and the willingness of the government to sign the Comprehensive Test Ban Treaty (CTBT). Mahmood’s Islamist tendencies were well known during his tenure at PAEC, and eventually led to his demotion and resignation. In October 2001, U.S. intelligence determined that Mahmood and Chaudry Abdul Majeed, a senior UTN member and former scientist at the Pakistan Institute of Nuclear Science and Technology (PINSTECH) had been meeting with Al Qaeda leaders in Afghanistan to discuss nuclear weapons technology. According to reports, the two individuals met with Osama bin Laden, his Egyptian deputy Ayman al-Zawahiri and various other Al Qaeda members. UTN’s objectives also included providing nuclear technology to other Muslim countries. It was revealed by Libyan intelligence that UTN had approached Libya with an offer to help ‘build a nuclear bomb’. 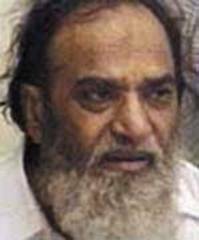 The founder, Dr. Mahmood and his associate Dr. Abdul Majeed were arrested by the ISI in 2001 for their association with the Al-Qaeda. The Ummah Tameer-e-Nau aims at attracting investments for the rebuilding of the Taliban-led Afghanistan. Their goal is to raise funds to re-establish the regime of Taliban in Afghanistan. UTN targets educated, middle class Pakistanis who are engineers, physicists, chemists and etc. Pakistani Nuclear Scientists: How Much Nuclear Assistance to Al Qaeda?, Institute for Science and International Security. A bomb for the Ummah, Bulletin of the Atomic Scientists. Albright, David; Holly Higgins (March 2003). "A bomb for Ummah". Bulletin of the Atomic Scientists. “AQ Khan offered Osama N-weapons before 9/11: Book". Times of India. 14 December 2008. Tempest, Ron. "Pakistan Nuclear Expert Recalls Detention." LA Times, November 12, 2001. http://articles.latimes.com/2001/nov/12/news/mn-3248. "International Institute for Strategic Studies Pakistan's nuclear oversight reforms". http://www.iiss.org/publications/strategic-dossiers/nbm/nuclear-black-market-dossier-a-net-assesment/pakistans-nuclear-oversight-reforms/. "Security Council Committee established pursuant to Resolution 1267 (1999) concerning Al-Qaida and the Taliban and Associated Individuals and Entities". http://www.un.org/sc/committees/1267/NSQE06801E.shtml.